Have any questions about Paris Drinks Fest? We've got you covered with our FAQ below! If there are any questions you have that don't happen to be answered here or elsewhere on our website, feel free to e-mail us at cheers@parisdrinks.ca and we'll get back to you shortly! What is Paris Drinks Fest? Paris Drinks Fest is a Food, Drink and Music festival. We'll have beer, wine, spirits, cider, non-alcoholic drinks and all sorts of food so come hungry and thirsty! When is Paris Drinks Fest? Where is Paris Drinks Fest? Paris Drinks Fest is held in Lions Park in downtown Paris, Ontario. Paris is a beautiful and historic rural community just north of the 403. We are 30 minutes west of Hamilton, 1 hour east of London, 20 minutes south of Cambridge, and 10 minutes northwest of Brantford. No, 19+ only! Due to government regulations, only people with government issued photo ID proving they are 19+ will be allowed into Paris Drinks Fest. The only exception is children 2 and under and they must either be carried by a parent or in their (small) stroller at all times. how do I get to Paris Drinks Fest? We’re offering free shuttles within Paris to and from Paris Drinks Fest on both Friday and Saturday as well as a few park and ride locations if you’d like to drive to the event but don’t want to hunt for parking downtown. We’ll also be offering affordable out of town shuttles with routes to be announced over the summer. We recommend taking a shuttle or using park and ride whenever possible as parking is quite limited downtown Paris! Though we love animals, in consideration of other attendees we can't allow animals onsite aside from certified service animals. How can I get involved with paris drinks fest? We're looking for some lovely locals to help us make this the best weekend of the year. We'll feed you, offer you free entry to the session of your choice after volunteering a certain number of hours and will love you forever! Click here to apply! what can I bring to paris drinks fest? We've got food, drinks, glasses so you don't need to bring much! If you want to bring a blanket to sit under the trees on feel free to but we've got you covered for almost everything. No outside food or drink is permitted but please email us if you've got any food allergies that you think might be very difficult to accommodate! whERE CAN I STAY DURING PARIS drinks fest? The Best Western is offering a special Paris Drinks Fest Rate for anyone attending the festival! Click HERE to book your discounted room today! Early Bird Tickets are $20 per session for General Admission and $55 for a Weekend Pass. You can upgrade to a Reserved Table which includes a bottle of sparkling for the table on arrival too, just check out the different ticket options for details! After Early Bird Tickets sell out, pricing will increase to $27.50 for General Admission per session and $75 for a Weekend Pass. More information on tickets is available here. Online: You can get tickets by clicking here! At the Event: Last year’s Paris Drinks Fest sold out so we highly recommend purchasing your tickets in advance to avoid disappointment! If there are still tickets available to any of the sessions on the day of the event, you can buy them from our Box Office onsite. Just make sure you keep an eye on our website or social media accounts to ensure there are still tickets available if you want to purchase day-of! All ticket types get you entry into the festival for the session of your choice (or to all three sessions for a Weekend Pass!) and an official festival sample glass. You can upgrade your ticket to a reserved table which includes escorted entry to your table, a bottle of sparkling for the group upon entry and a table to yourselves (and any guests you invite to join you) for the session of your choice. Click here for some more information about our reserved tables. All tickets are non-refundable, sorry! The event is rain or shine but there's a great big tent in case the weather doesn't go the way we plan! can I pay for my food/drink in cash? All items (aside from merchandise) are paid for with tokens. 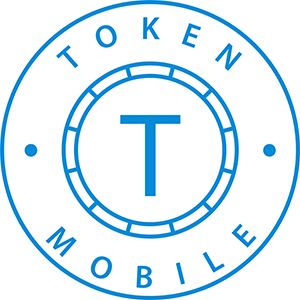 Buy tokens via the Token app, an electronic token system for iOS and Android individually for $1.77 ($2 including HST). Download here! Why would I want to use an electronic token/the token app? The app is TOTALLY optional but makes your life a lot easier. Get as many tokens as you need, whenever you need them, right from your phone. No Lineups: If you've attended a festival before you know there is potential for lineups to purchase tokens. With the Token app there are no lineups, just download the app, enter your card info and purchase! You can even do this before you get to the event, or on your way there! Quick Refunds post-event: Refunds at the end of the event are really easy and happen directly in the app if you don't use all the tokens you've purchased, or you can easily donate your tokens to this year's charity instead of requesting a refund! No lost tokens: These tokens can't fall out of your pocket while you're wandering around (well, unless your phone does!). If you happen to lose access to your phone (lost, battery dies, etc.) you can just log in to the app on another device and use, transfer or refund your tokens. Easily Transferable: If you want to buy tokens for someone or send them your unused tokens when you're leaving its a few quick steps in the app, all you need is their email address that they are using for Token Mobile. See What's Available: All of the items available at the vendors are listed in one place: The Token App. It's kept up to date on what sells out so you know exactly what your choices are for your next sample. Where do I get the token app? You can download the app by visiting the App Store or Google Play and searching "Token" or by clicking here from your device.